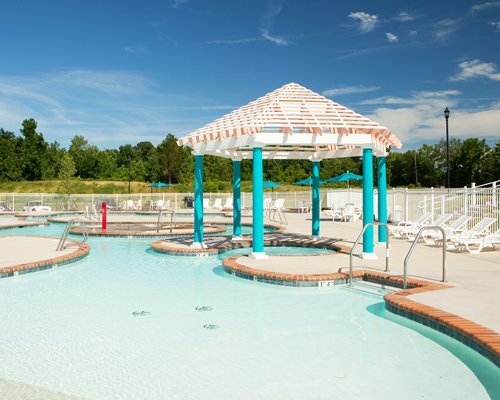 A fun-filled vacation is waiting for you at Parkside Williamsburg Resort. The resort features exceptional golf right in your backyard and even has a weekly tee time at the course so grab your clubs and nail down your swing. 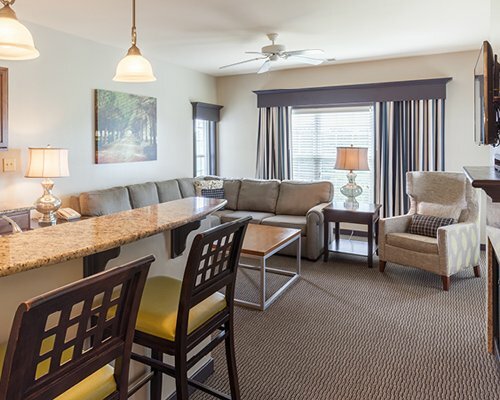 Spacious one-and-two bedroom villas await your arrival and invite you to relax and unwind. 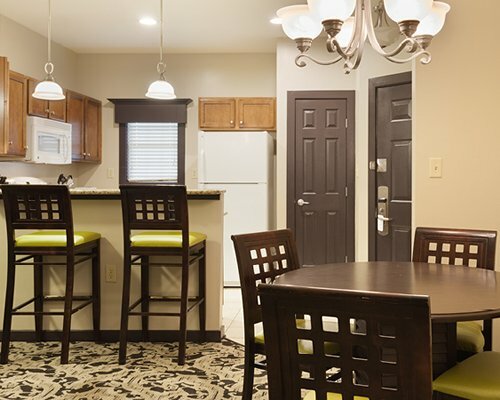 Modern convenience like flat screen TVs with cable and DVD players provide exceptional entertainment-while amenities like in-room refrigerators, ice makers and washers/dryers welcome you home. 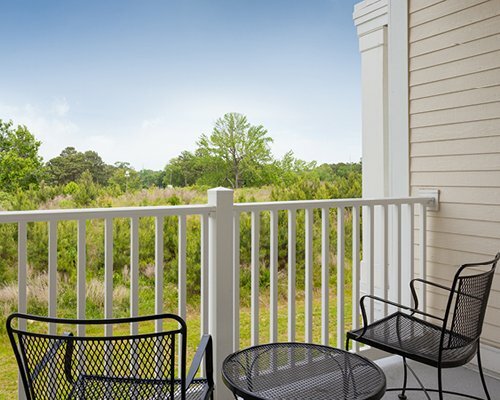 Balconies let the fresh air in on warm evenings, although all units are air-conditioned. 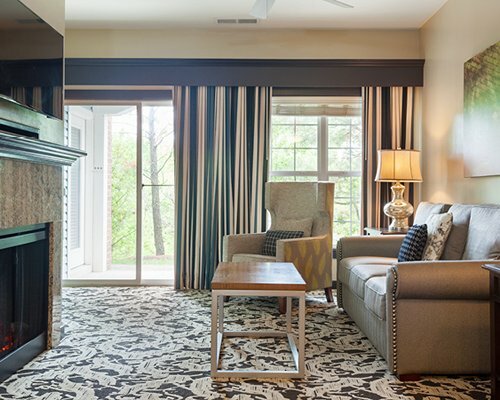 Fireplaces create that warm family glow at the end of the day. 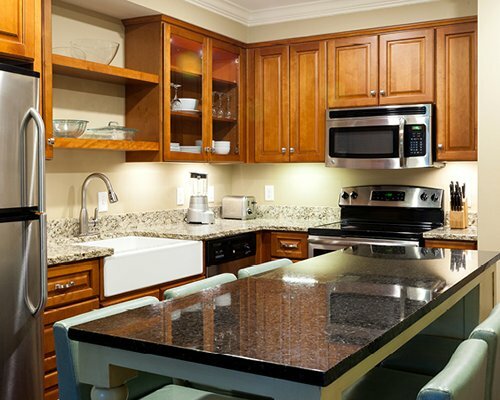 The fully-equipped kitchen, along with a washer and dryer and housekeeping services, provide on-site convenience. 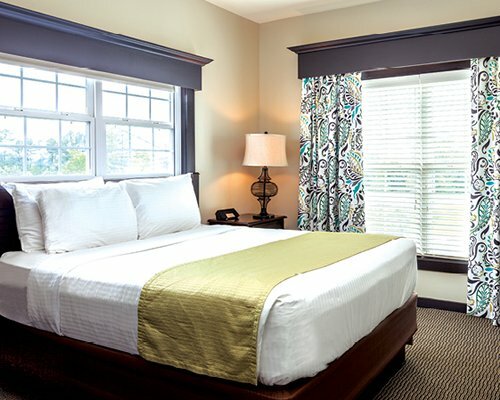 The one-bedroom unit sleeps four guests; the two-bedroom units sleep six to eight guests. 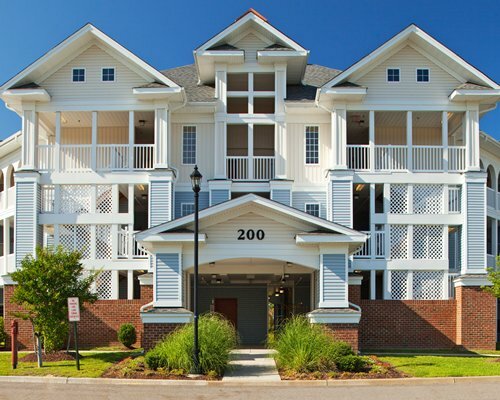 Three- and four-bedroom units sleep ten and twelve guests, respectively. 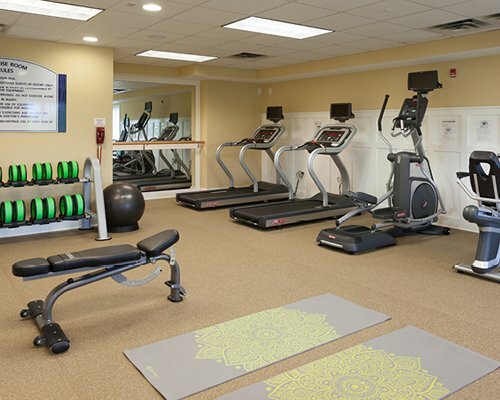 Amenities include high-speed Internet, cable/satellite TV, and a DVD player. 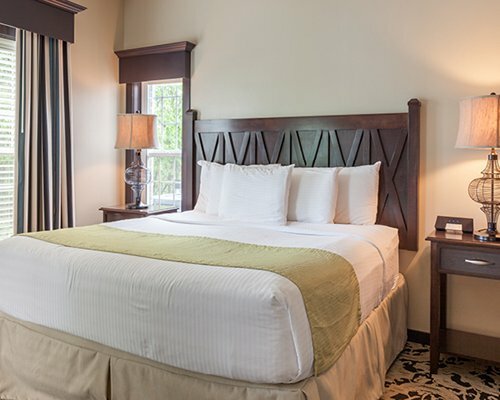 Located in the midst of the Colonial Triangle, history buffs will appreciate exploring live battlefields, museums, plantations, and other historical sites. 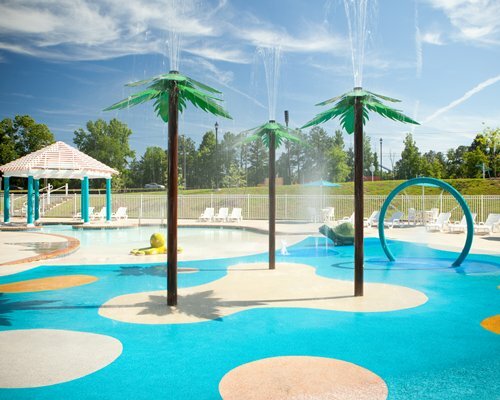 Family-friendly, visitors can enjoy the outdoors at the beach, fishing, or going sailing, canoeing, or kayaking. Landlubbers can explore the picturesque outdoors by horseback riding, hiking, biking, or playing golf, tennis, or basketball. 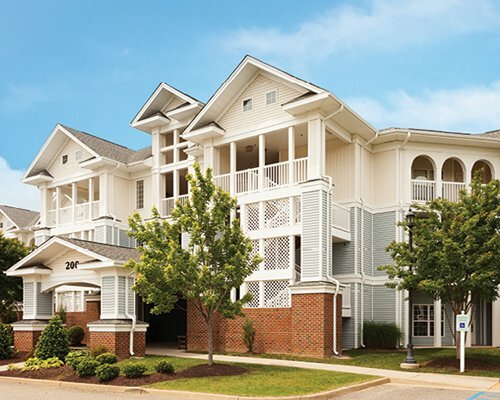 Spend a day outlet shopping or exploring local wineries, all within five miles.Nighttime offers live entertainment and fine dining experiences. Mandatory Occupancy tax is 34.00 to 65.00 U.S. dollars. Cash or Credit is accepted. "Housekeeping fee for all RCI points reservations: There may be a fee of 77.00 U.S. dollars for 1 Bedroom units, weekly. Cash or Credit is accepted." "Housekeeping fee for all RCI points reservations: There may be a fee of 97.00 U.S. dollars for 3 Bedroom units, weekly. Cash or Credit is accepted." "Housekeeping fee for all RCI points reservations: There may be a fee of 97.00 U.S. dollars for 4 Bedroom units, weekly. Cash or Credit is accepted." 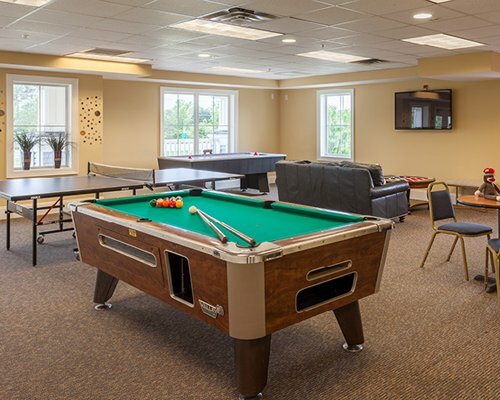 "Housekeeping fee for all RCI weeks reservations: There may be a fee of 87.00 U.S. dollars for 2 Bedroom units, weekly. Cash or Credit is accepted."